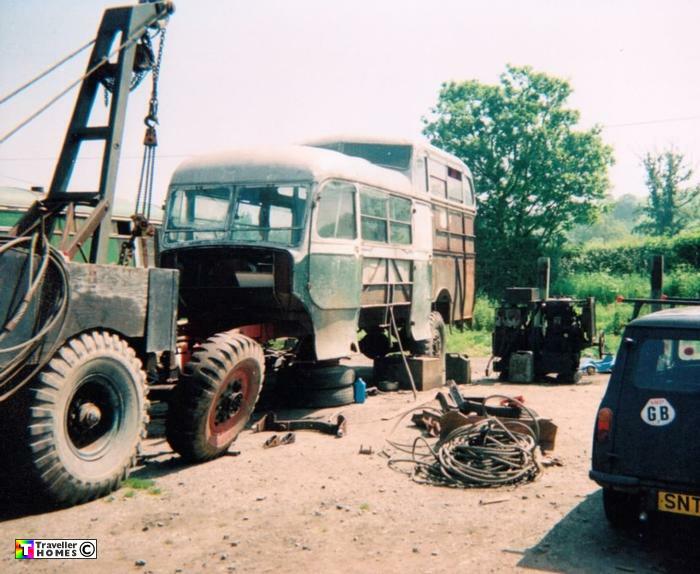 Belgium Andy's Bus Getting An Axle Change ! SME526 (1947) Commer Commander . Park Royal RC20D. Ex-BEA Rusilip 1008 . Seen ? Looks as if Chod's Matador is helping the job ? Photo = Jaine .